Excitement for all is on tap for Overbrook. 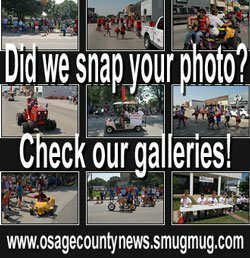 It’s the annual Overbrook Osage County Fair, Aug. 10-13, 2016, at the fairgrounds right along Highway 56 in Overbrook, Kan., according to an announcement by Jane Goodyear, who’s on the fair committee. “Every year, our historic community right on route of the original Santa Fe Trail puts a lot of hard work into coordinating the fair activities, so it’s bigger and better than before, with entertainment and also education for all,” Goodyear said. “Without any prejudice intended, we think the program lined up this time is certainly one of the best ever,” she added. 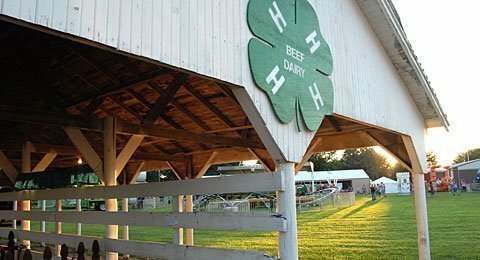 Fair festivities actually start with the 4-H horse show at 8:30 Saturday morning, Aug. 6, but official fair opening day is Wednesday, Aug. 10. 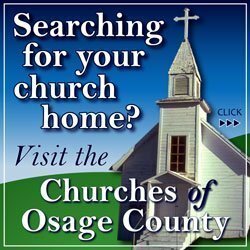 Feature kickoff attraction is crowning of the Overbrook Osage County Fair king and queen in a ceremony at 6 p.m. that evening, with the royalty presiding over the entire fair, and most notably in presentation of awards for all competitions. Their first tour of duty will be recognizing swine show winners with ribbons and trophies starting at 7 p.m., when the Overbrook Fair Fun Show also begins. Rabbits go under the judge’s evaluation Thursday morning, Aug. 11. Poultry evaluations are at noon, and the sheep, dairy and goat shows will be that evening. Olympic Games are also on tap. 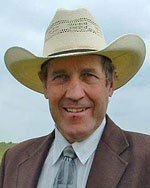 A beef showmanship clinic and contest is Friday morning, Aug. 12, at 9 a.m., and the buck calf show begins at 6 in the evening before the beef show at 7 p.m. Excitement mounts, and there’ll be a token admittance for the all-terrain vehicle circle track races, Friday evening, but no glass containers are being allowed through the gate. Saturday morning, Aug. 13, might as well be called kids’ time at the fair. The pet show, with all entries welcome, begins at 9, followed by the dog show at 9:30 a.m. Kids’ contests are set for 10. Little tykes’ leg muscle power goes to work hardest with the pedal tractor pull at noon. Anticipated by participants locally and from afar, and spectators lining the route long in advance, the fair parade, “Hometown Volunteers,” at 6 p.m., promises something for everybody. Parade of champions is what all the exhibitors work for throughout the year with their presentation at 6:55 Saturday evening, before the youth livestock auction, followed immediately by a buyers’ appreciation supper. UTV races will begin at 7:30 Saturday night, and again officials request no glass containers through the gates. 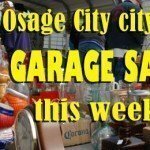 Details for the 2016 Overbrook Osage County Fair are available at in the fair book available here: 2016 Osage County 4-H Fairs Fair Book or at www.frontierdistrict.ksu.edu.